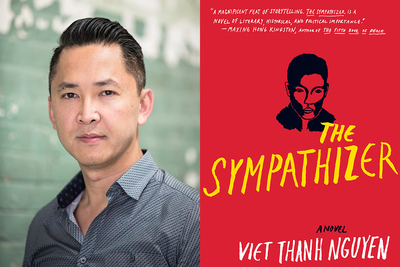 Pulitzer Prize-winning author Viet Thanh Nguyen will talk about war and memory from the refugee perspective when he gives the 27th Annual Mortenson Distinguished Lecture at the University of Illinois. CHAMPAIGN, Ill. — Pulitzer Prize-winning author Viet Thanh Nguyen will talk about war, forced migration and refugees when he gives the 27th Annual Mortenson Distinguished Lecture at the University of Illinois. The lecture is at 1 p.m. Sept. 14 in the Knight Auditorium at Spurlock Museum, 600 S. Gregory St., Urbana. It will be followed by a book signing. The lecture is free and open to the public. Livestreaming of the lecture is also available at Live at Illinois. Nguyen is a professor of English and of American studies and ethnicity at the University of Southern California. His research interests include war and memory; multiculturalism and identity; Asian-American literature and culture; and international and comparative approaches to the Vietnam War. His novel, “The Sympathizer,” won the 2016 Pulitzer Prize for fiction. The book follows a Viet Cong spy who flees to America after the end of the Vietnam War and observes the struggles of Vietnamese refugees. Nguyen wrote a nonfiction book, “Nothing Ever Dies: Vietnam and the Memory of War,” which was a finalist for the National Book Award in Nonfiction and the National Book Critics Circle Award in general nonfiction. It examines how the Vietnam War is remembered by various countries and people. His most recent book, “The Refugees,” is a collection of short stories exploring questions of immigration, identity, love and family. Nguyen’s lecture will discuss war, memory and cultural identity, as well as the resettlement and integration of refugees in a new homeland and the memories that ensue. While on campus, he will also provide a graduate seminar at the Asian American Cultural Center. Chu said Nguyen’s lecture also ties in with a project the center is working on to guide libraries in providing services for refugees. “Project Welcome: Libraries and Community Anchors Planning for Resettlement and Integration of Refugees and Asylum Seekers” is a partnership with the American Library Association and is funded by the Institute of Museum and Library Services. The Mortenson Center for International Library Programs was created to strengthen international ties among libraries to promote international education, understanding and peace. Editor’s note: Information about the Mortenson Distinguished Lecture is available online at http://www.library.illinois.edu/mortenson/lectures/viet-nguyen/.